With a top al-Qaeda expert as the guide, Nuclear Terrorism: Blinding Horizons offers a credible, chilling journey through scenarios many news organizations ignore and many viewers avoid. WASHINGTON (CNN) — Investigators cleared debris and gathered forensic evidence Sunday from the site of two explosions and subsequent fires that killed at least 182 people on the Indonesian tourist island of Bali. Many of the victims were Australian tourists. Australian Foreign Minister Alexander Downer said “preliminary indications” suggested that an Islamic radical group could be behind the attack. (Washington, D.C. September 18, 2002) One of the most disturbing legacies of September 11th is the realization that no threat scenario is impossible. PAULA ZAHN, CNN ANCHOR: An audiotape is being analyzed this morning to try to determine whether it is, indeed, the voice of Osama bin Laden, warning of more terrorist attacks. The two-minute tape was first aired yesterday on the Al-Jazeera television network. 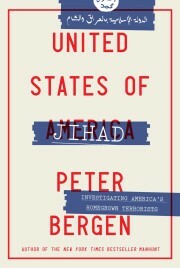 MARGARET WARNER: To analyze the present state and strength of al-Qaida, we’re joined by Peter Bergen, author of Holy War Inc.: Inside the Secret World of Osama bin Laden. In 1997, he interviewed bin Laden for CNN, where he now serves as a terrorism analyst. And Rohan Gunaratna, author of Inside al-Qaida Global Network of Terror. He’s a research fellow at the Center for the Study of Terrorism and Political Violence at the University of Saint Andrews, in Scotland. And welcome to you, both. Caveat emptor. A tidal wave of tomes related to the Sept. 11 anniversary is washing up at your local bookstore as you read this. Some of these are data dumps from the police blotter, others the sad tales of victims and their families. Still others weave conspiracy theories purporting to show that energy interests in Central Asia shaped American policy toward Osama bin Laden or that “state sponsors” such as Iran or Iraq play important roles in his organization. I quit my job at CNN in the autumn of 1999, to start working full time on a book about Osama bin Laden. I had become interested in the mysterious multimillionaire Saudi after I met him in eastern Afghanistan in 1997, and spent most of the next four years trying to understand the man. Finally, at the end of August last year, I gave my manuscript to my publisher. Having worked for more than a decade in the news business there were many things I did not understand about publishing, not least the seemingly geological time scale on which publishers work. Wie is Osama bin Laden en hoe ver strek sy tentakels? Waar woon hy en wie werk saam met hom? Hoeveel moet ons vrees vir sy wereldwye netwerk, en wat kan ons volgende van hom verwag? Wel, dis nou nie asof die CIA, die FBI of die Amerikaanse weermag matelose sukses behaal met hul kruistog om hom uit sy gate te rook nie, so miskien is dit nodig om ‘n joernalis kans te gee om dit te doen. Was Sept. 11 the beginning of something or the end of something? Are militant Islamists a significant ongoing threat to the West, or is militant Islam a force that will eventually exhaust itself? Daniel Pipes has been sounding the alarm about the threat posed by militant Islam for more than a decade and posits that it threatens the West “in many and profound ways,” while Rohan Gunaratna has written a well-researched investigation of al Qaeda, the group that best embodies that threat.